Frustrating. And an R34 with fitment. – Garage Dusty Exciting Car Team! Frustrating. And an R34 with fitment. People really need to not bid on the wheels I want. I found some 18×9 & 18×10 Veilside Andrews for crazy cheap on Yahoo Japan and some “person” bid on them and made them not crazy cheap anymore… Grumble. I might still try to get them but I dunno. So with wheels in mind, here’s a rather unique R34 with fitment. Why unique, you ask? (I’m assuming that’s what you ask, don’t worry, I’m not outside your house reading your thoughts). 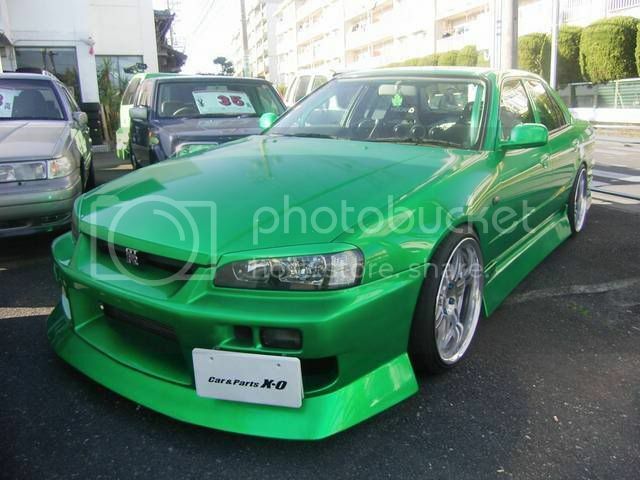 Well, firstly, it is an R34 with good fitment. That’s rare. And secondly, it is a Diesel GT with good fitment! Oh well, at least it looks exciting. ← Winton again. Now I’m tired.